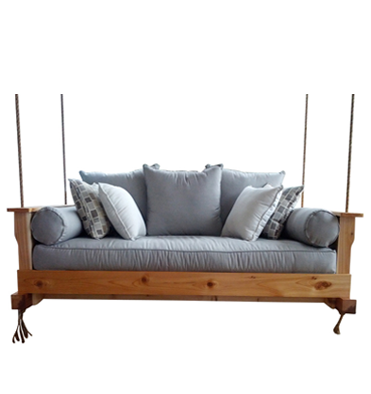 Lowcountry Swing Beds: Bedswings, Outdoor Lounge Furniture, Porch Swings, and MORE! Our current lead time for Swings and Daybeds is 4-6 weeks. arrival times if you are purchasing a complete package. This swing is amazing, everyone that comes over comments on how awesome it looks & asks where I got it. Owner delivered & professionally installed. Love the color too. Bed is beautiful! They came to my home in NC and installed it (highly recommend if they offer this service). Cannot wait until warmer weather to take advantage of it. I could not be more pleased with my new porch swing bed and cushions! Thank you for the excellent craftsmanship and customer service! And Bobby did an amazing job with the custom install! 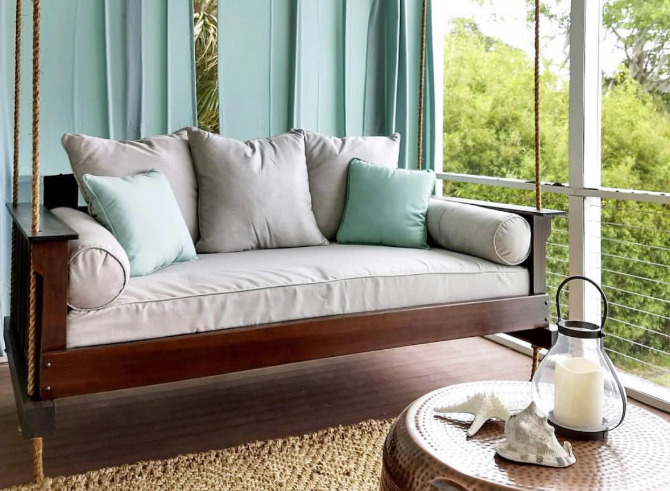 Partners in life and in work, leading woodworking artisan and experienced production planner are changing the vision on outdoor living and design. 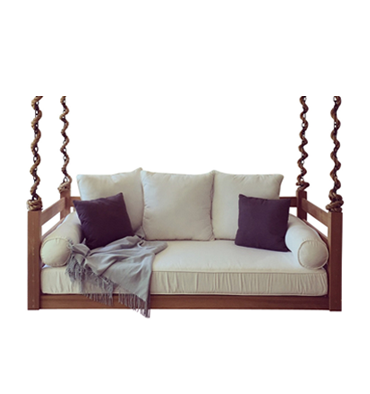 Lowcountry Swing Beds has a collection of nearly 20 designs between swing beds and daybeds. In addition, we offer personalized customization. This allows each client to have a tailored design, whether it be a custom size, custom paint selection or wood preference. Support small business, because you're supporting a dream! 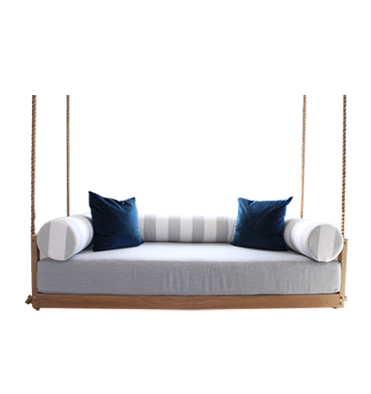 Take a look at our collection of photographs and see how we style our custom built swings. We have been featured in HGTV magazine, Southern California LIFE magazine, Elle Decor, Design Bureau, Charleston Magazine, Indulge Magazine and more!